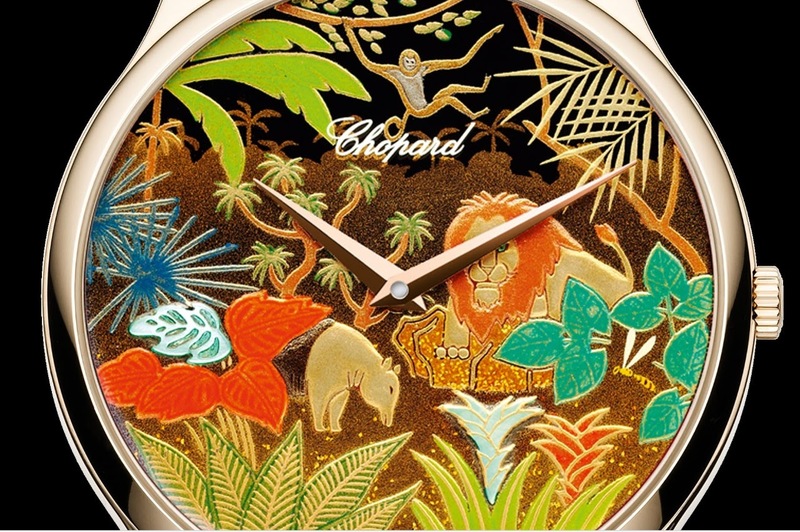 Proclaimed a “Living National Treasure” by the Japanese authorities, artist Kiichiro Masumura has created this unique dial for Chopard featuring a jungle motif and the time-honoured lacquering techniques of Urushi and Maki-e. It really is quite amazing the craftmanship that goes into creating these dial. After seeing the recent posts in the Ulysse Nardin forum I landed on this "artwork" from Chopard. I always have you in mind when i come across an Urushi or any enamel dial. Loin Journey that dounds very appropriate for an travel grg. jungle of LA it will be ! You need to go to the quiet corner. not be resisted Resistance is really futile ! LOL ! Chopard forum ! 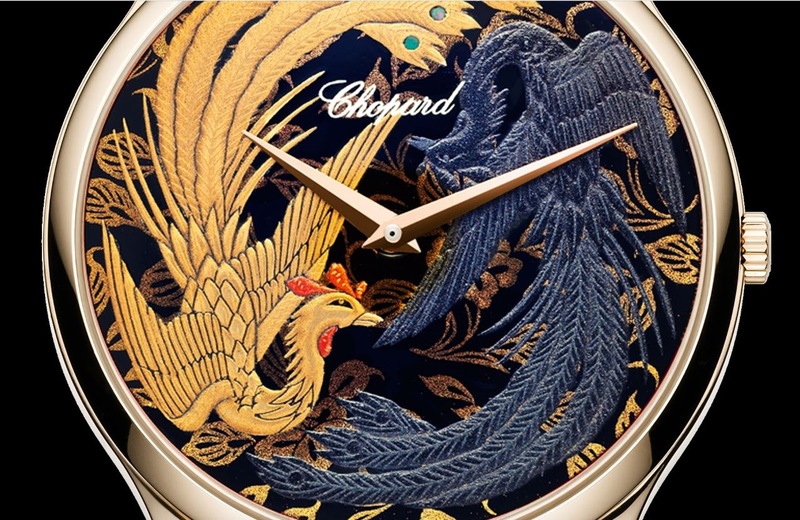 The Chopard Urushi Lion is now really jealous and wants to pounce on you in our upcoming GTG ! lionesses and you will definitely be safe ! which metal did you pick, Bill ? buy a Chopard Urushi dial ! Very easy !